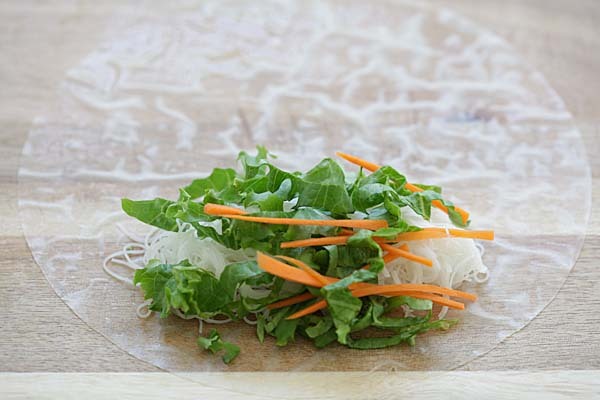 Summer Rolls – healthy and delicious Vietnamese Summer Rolls recipe made with Annie Chun’s Maifun rice noodles, lettuce, carrots, shrimp with hoisin-peanut sauce. So good! Summer Roll is one of the most enticing—and healthy—appetizer in Asian cuisines. 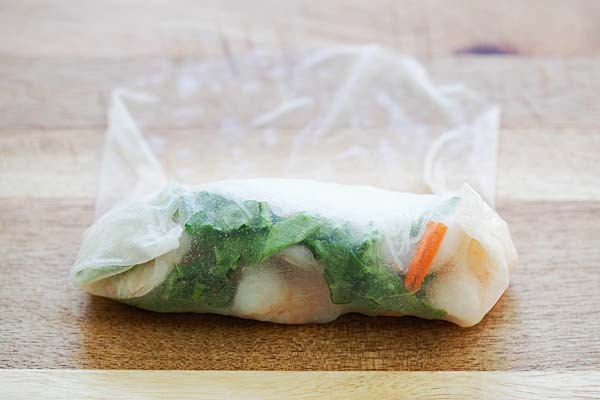 Fresh vegetables and boiled shrimp are rolled together using Vietnamese rice paper, and then served with a creamy and savory Hoisin-Peanut dipping sauce. 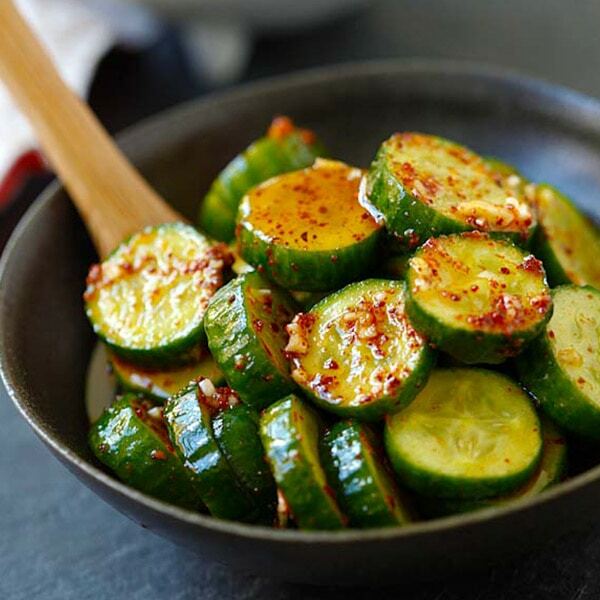 The taste is light, refreshing, and absolutely pleasing to the palate. 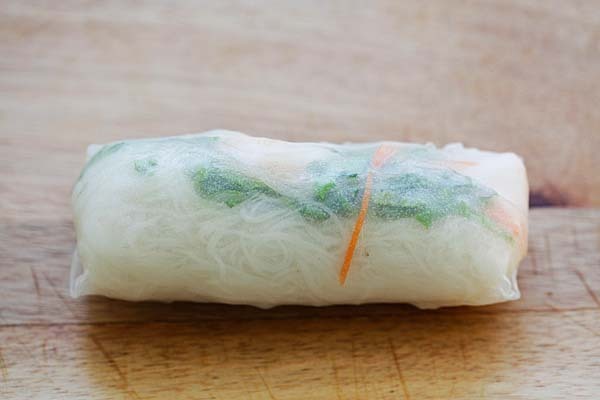 Making Summer Rolls are a lot easier than you think, and you can get the ingredients easily at Asian stores, and at some regular supermarkets, in the International food aisle. The key ingredient is Asian rice noodles and I recommend Annie Chun’s Maifun Rice Noodles—gluten-free, delicate in texture and mild in flavor. The assembling part of summer rolls is mostly fun and very easy to manage. While you can assemble the rolls for your family and guests, I personally like to let them make their own rolls. It’s fun to play with the food, immerse in the Asian cooking culture, plus getting hands on with the experience. Disclaimer: This is a sponsored post by Annie Chun’s. Annie Chun’s has just launched a brand new website with fifteen (15) recipes developed, styled and photographed by yours truly. Add the water to a pot and bring it to a boil. Add the Annie Chun's Maifun Rice Noodles and boil for 2-3 minutes or until tender, stirring occasionally. Drain and rise under cold water, set aside. 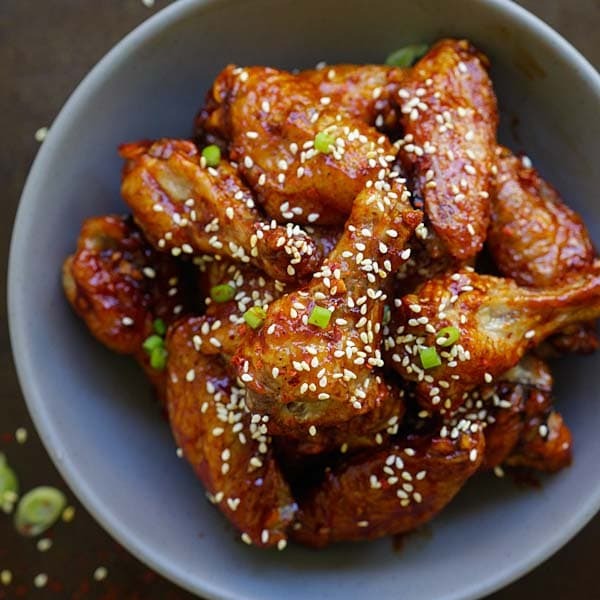 Combine all the ingredients for the Hoisin-Peanut Sauce together in a small bowl. Whisk it to mix well. Transfer to a dip bowl and garnish with the peanuts. In another small pot, bring some water to boil. Cook the shrimp for about 1 minute, or until the shrimp are completely cooked. Drain, let cool, and slice in half lengthwise. Set aside. Divide the vermicelli, shrimp, lettuce and carrot into 6 equal portions. 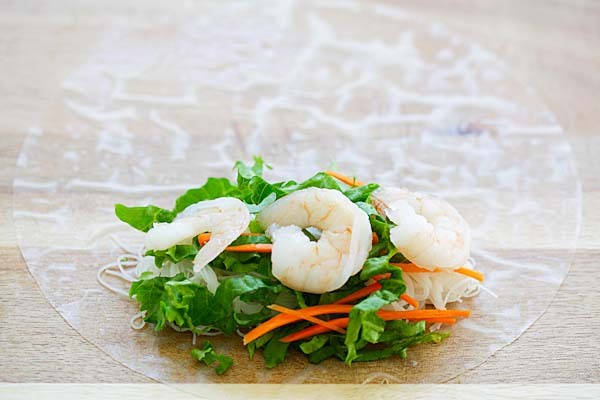 To assemble the summer rolls, dip one sheet of the rice paper in a big bowl of water. Shake off the excess water and quickly transfer it to a clean, dry and flat working surface, for example, kitchen countertop or a chopping board. Place the Annie Chun's Maifun Rice Noodles on the bottom part of the rice paper. Add the sliced lettuce and carrots. Place 3 shrimp halves on top. Fold the bottom side of rice paper over the filling securely, then fold the left and right sides of the rice paper over the filing. Make sure the filling is secured tightly. Continue to roll the summer roll over, as pictured below. Repeat the same until everything is used up. 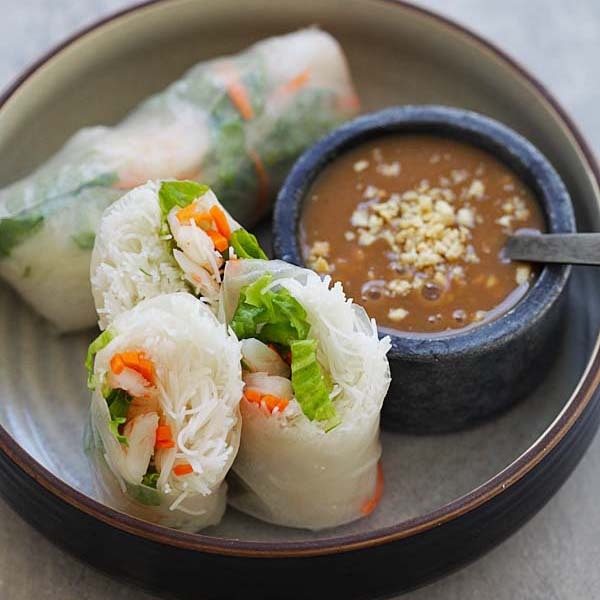 Cut the Summer Rolls diagonally in the middle into halves, place them on a platter, and serve immediately with the Hoisin-Peanut Sauce. All photos and recipes on Rasa Malaysia are copyright protected. Please do not use the photos and recipes without prior written permission. If you wish to republish this recipe, please rewrite the recipe in your own words instead of copy and paste and link back to //rasamalaysia.com/easy-summer-rolls/. Thank you very much! I travel 30 minutes one way to buy summer rolls from our favorite takeout. After reading everything, I feel confident, I can make them on my own . Thank you!!! Love everything. Awesome, it’s very easy to make. No need to travel and buy anymore! How big/what diameter rice paper disks do you use? These were spectacular! The peanut sauce is better than most restaurants! Easy to make. Definitely making this again. Thanks Jennifer, yes, my summer rolls recipe is amazing. 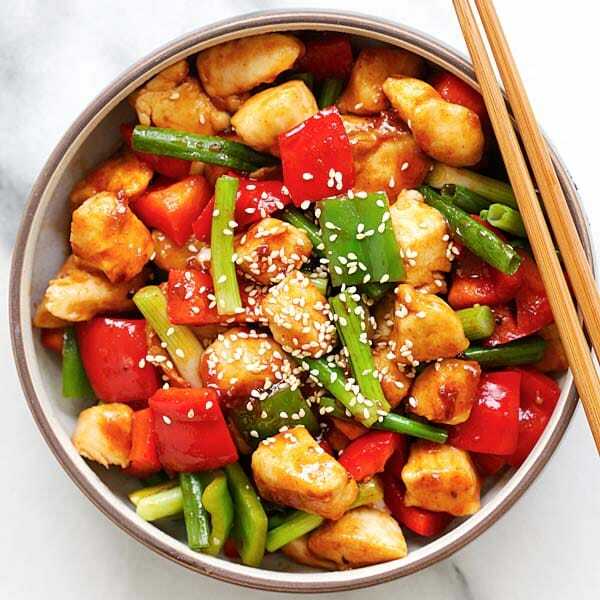 Do try out more of my recipes, they are all amazing and delicious!